To move a car with a magnet across the table. Fun with magnets in First class. 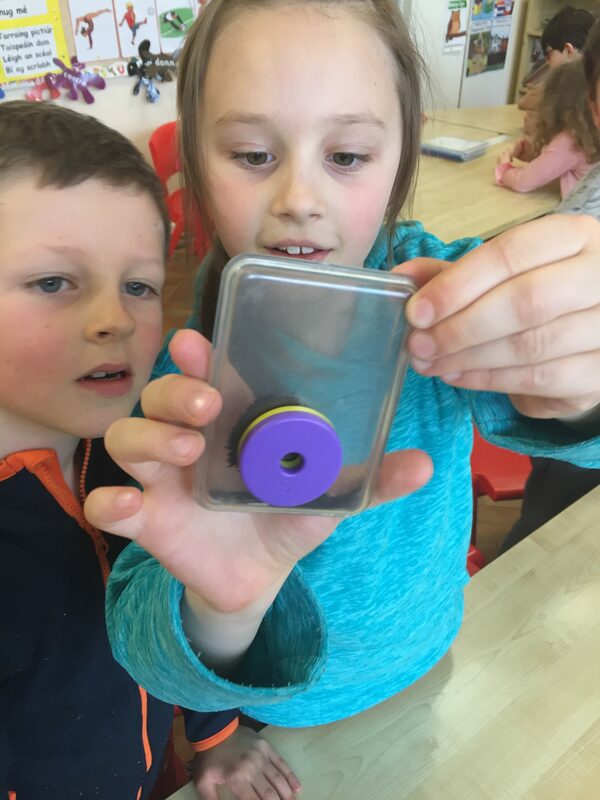 Testing out the magnets with iron filings. Testing out the force of attraction through a table. 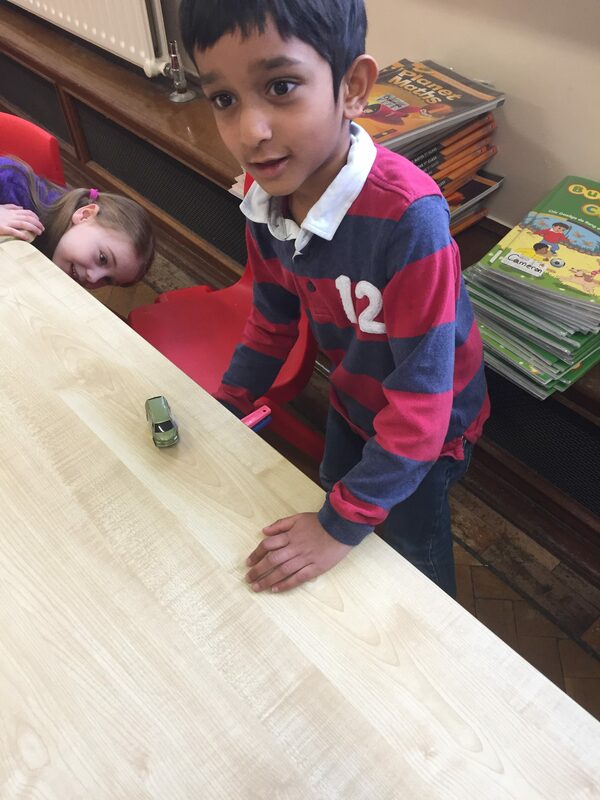 The children thoroughly enjoyed moving a car across the top of the desk using a magnet and a car attached to a magnet. 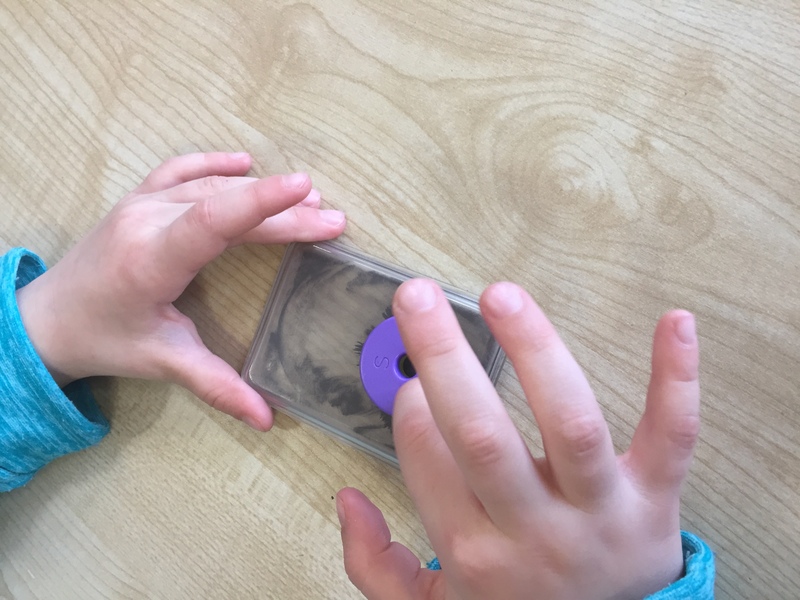 Testing out magnetism. 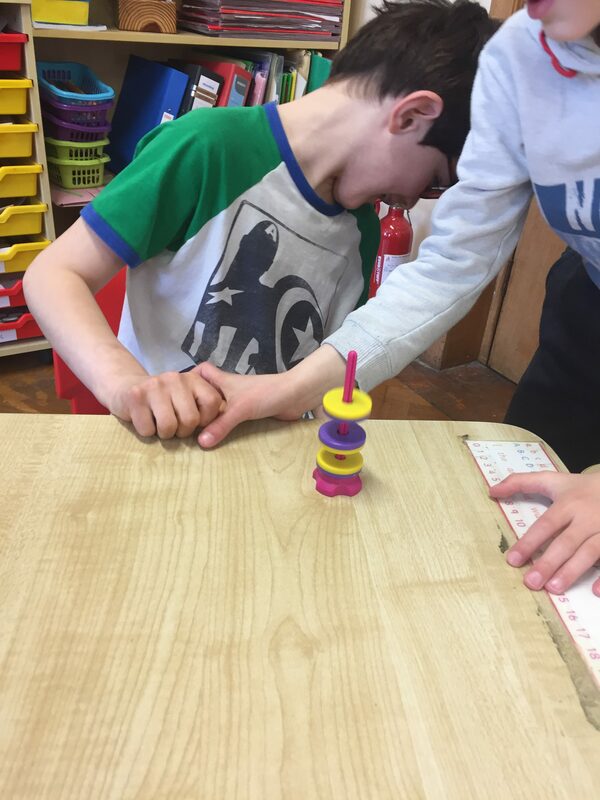 The boys were using round hoop magnets to see how attraction and repulsion worked. They thoroughly enjoyed watching the floating magnets “defying” gravity.